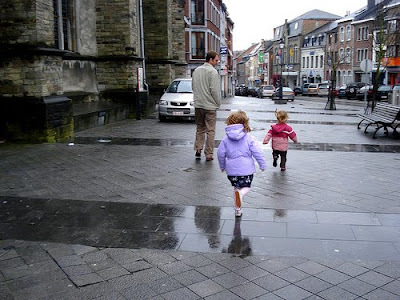 Last Sunday we took a drive to Bastogne in Belgium as recommended by Catherine. It was a cute, touristy town filled with bakeries, shops and restaurants. Unfortunately the Australian ice cream shop was closed (also suggested by Catherine.) The weather was rainy and cold but we warmed ourselves and stomachs in one of the many amazing bakeries. 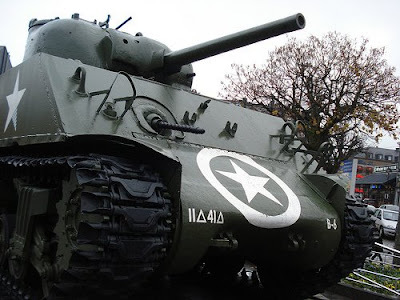 If Bastogne sounds familiar to you it is likey do to it's importance in World War II and The Battle of the Bulge. There are many military related monuments throughout the town. Our day trip ended with at visit to one of the many friteries that are common in Belgium. Pommes frites in a paper cone, served with mayo and ketchup. Yum. Fabulous photos, those bakeries look incredible. How do you choose just one item? I would want one of EACH! I want to move to the EU!!! 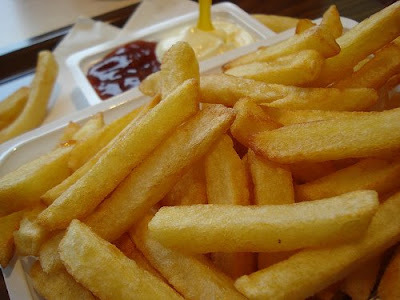 Bakeries and Pomme Frites - now were talking! I love it and love reading about your adventures! Happy to know it pleased you... But yes, the weather was awful last Sunday... but you know what ? It will snow tonight and Saturday ! Love the photos! Looks like you are settling in.